In a perfect world Jimmy Davis would be a household name, spoken about with the same amount of respect as the likes of Bryan Adams and Jimmy Barnes. However, it is not a perfect world so here we are trying to spread the word about an artist who made one album back in the day. Davis suffered the same fate as many other artist trying to make a name for himself in the heyday of the Grunge era. Having an album payed for by the label (Chrysalis) with three different label presidents, Grunge then took its toll and Davis just walked away. Now in present day 2017, Andrew McNiece has stepped in and contacted Davis to ask if he could release his long lost second album through MelodicRock Records. To the joy of all traders of classic lost bands, Davis took up McNiece's offer, not only to release said second album but also to re-issue the now deleted first album with an additional disc of a live tracks. 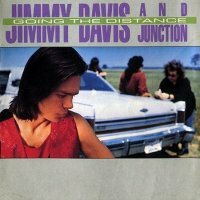 The long lost record, 'Going The Distance', starts strong with 'Out Of Control', a track that has an eighties soundtrack vibe and would fit any Sylvester Stallone movie. It reaches and sets a very high bar but Davis manages to achieve the same quality throughout the record. For me, the highlight offering is 'Enough Is Enough', a song that could easily be recorded by Adams or even the mighty Barnes with guitars that would fit any Neil Schon session from the eighties. This should have been an eighties anthem and it's one of the strongest "non-released" songs I have ever heard. Another favourite of mine is 'When The Darkness', it's a little bit of a dark song but its vibe and emotions gives me goose-bumps. 'Can't Run Away' is also one of those soundtrack-like songs that gives you a summery feeling with great harmonies and a lot of Jonathan Cain-flavoured piano. The sound of 'Let The Man Rock' truly makes me realise why people compare Davis with Adams, as does 'Right As Rain' given it's also one of those Adams/Barnes type offerings that blend together in perfect harmony. 'All The Rage' is the album's Bluesiest song and it reminds me a little of a something that could have be recorded by Joe Bonamassa; it has lot of energy and I like it. 'Never Know', the album's softest song, brings to mind the late Brett Walker. This record has twelve tracks in total and all are worth owning. The next part of this collection is the 'Deluxe Edition' re-issue of Jimmy Davis & Junction's classic debut 'Kick The Wall', this since deleted item now not only finally getting the re-master treatment but also adding a bonus second disc with a live show. For a long time, the '...Wall' album itself was one of my favourite records and I have some good memories from the summer of 1988 attached to this release, especially the second track 'Just A Little Bit'. This song has an American radio vibe and if I ever make a soundtrack of my life, this song has to be on it. The title track is a killer song with a large Adams-like vibe, while 'Labor Of Love' is another selection from Davis that should have been a hit way back when. One other personal highlight is 'Don't Hold Back The Night' which reminds me of Stan Meissner. This re-issue consists of ten tracks that (like 'Going The Distance') are all worth having. Lastly, there is the live disc attached to 'Kick The Wall' entitled 'Live At The Bottom Line'. 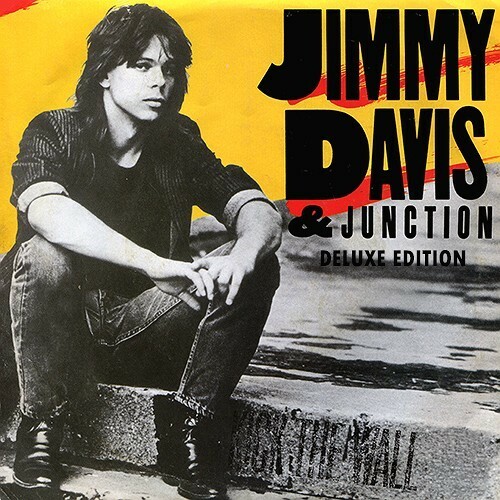 I'm not really a fan of live records generally but I have to admit I'm impressed with how good Jimmy Davis & Junction sounded in the live environment back then. The only negative is that it has a feeling and sound of a live in the studio record rather than a live gig. It features ten offerings that are mostly taken from the debut except for 'Just Having Touched' – a nice ballad – and the closing cover of 'Get Back' by The Beatles.